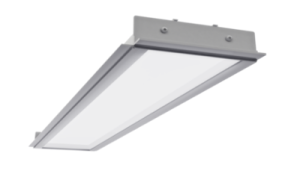 Recessed LED luminaire. Housing made of aluminium. Available flat or U shape diffuser (letter Q in a product code). 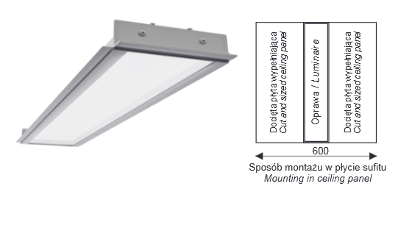 Standard: white aluminium profile, Ra ≥ 80, milky diffuser, non-dimmable driver. II protection class. Options: Ra ≥ 90, any light and body color, DALI system/other. Way of mounting beside the ceiling grid.